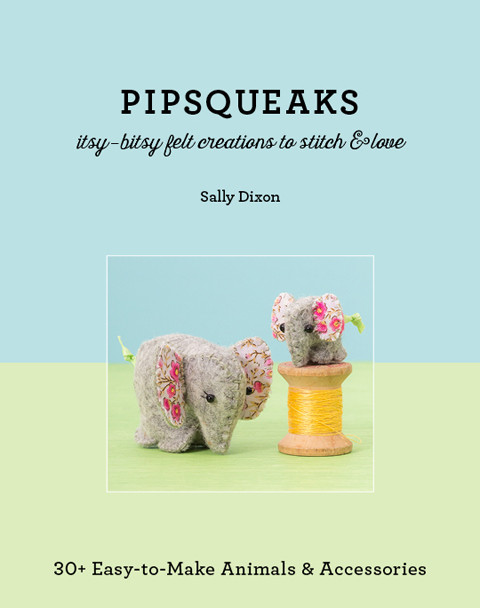 As part of a week-long blog-tour, crafter, miniature-enthusiast, Made It seller, and now author, Sally Dixon, talks to us about her inspiration and her creative passions, and publishing her first book: Pipsqueaks. Plus, there’s one copy of the book to give away at each stop on the tour, so be sure to enter; details at the bottom of the post. Was it always a dream to write a book about a topic that was a passion of yours? Always! I’ve desired to write my own book ever since I was a child. I remember long car trips where I would sit quietly, watching the scenery pass by, and daydream about becoming an author. That said, I never imagined that my first published book would be a non-fiction craft book. I thought it would be a children’s fiction novel. But actually, it makes perfect sense to me now that my first book would be an overflow of my creative passions. I’m so glad it is. It’s such a delight to be able to share my love of sewing, felt and all-things-miniature with other people. 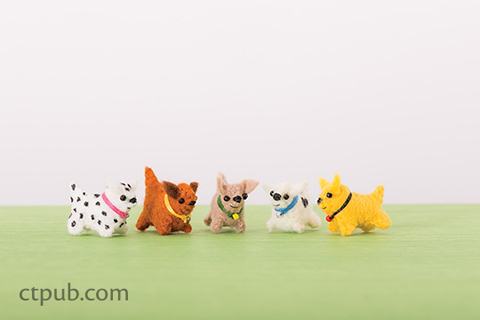 You mention in the book that a small felt teddy sparked your love for working with felt. Do any of the other projects come from your childhood also? Yes, the small teddy sparked my love for working with felt. But there are other projects with a foundation in my childhood. •	My first school project was all about cats – I even cut out Whiskers cat food labels and glued them to my project. •	Just about every creative story I wrote centred around a cat theme. •	My pet tabby-cat endured dress-ups in doll clothes and rides in doll prams. •	And I even used to write my name with a hand-drawn paw print at the end. 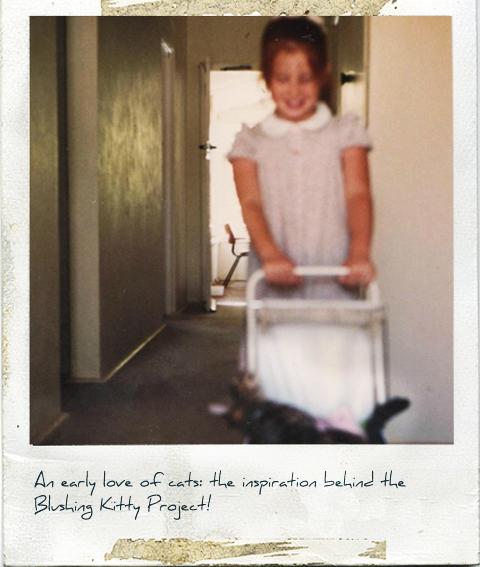 With such a childhood love of cats, a kitty project naturally found its way into my book. I didn’t even have to think about that one. The Budgerigar Puppet Cozy project arose from childhood memories. My dad kept a gigantic aviary in the backyard. Budgies of every colour fluttered inside that cage. My dad would enter the birds into shows and sometimes won prizes. He also set up breeding boxes. As a child, I watched the budgie life-cycle with fascination. It was such a thrill whenever I discovered a newly-hatched baby, scrawny and naked and pink. I still know how to tell a female budgie from a male budgie. And I can usually pick out the features of a show-winning bird! 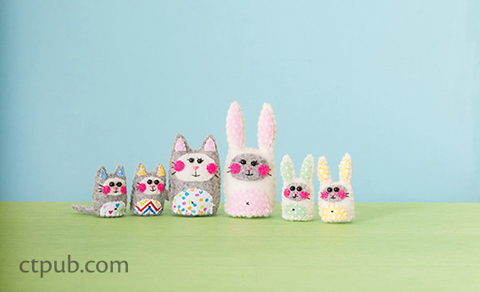 It’s obvious you love and are very talented working with felt – do you have any other interests in the creative world? I have too many interests in the creative world. And there just isn’t enough time in the day to do everything I want to do! That’s why I’ve turned my creative passions into my career. I also love to write and have ambitions to be a children’s author. I’m currently completing a master’s degree in creative writing. Cake-baking has been a passion over the years, and I’ve made the occasional wedding cake for friends. I still love to bake cakes, but it’s not something I do as often these days (too many other creative pursuits to occupy my time). For the past year, I’ve also enjoyed photography as a hobby. I’ve started to turn some of my best photos into greeting cards. Such fun! One itsy bitsy felt craft book down; what’s next? Another book? Yes! Well, I hope there will be a Pipsqueaks sequel. Perhaps a Christmas edition of Pipsqueaks? There are ideas ruminating in my imagination as we speak. One day, I’d like to turn some of my felt animals into picture book characters, especially my mice. Perhaps I might do this sooner rather than later…. And I’m also writing a fairytale novel for my Master’s degree, but this book is still very much in its infancy. What are the top 3 crafting tools you cannot live without? •	Tiny, sharp, and quality embroidery scissors. They are essential. It is impossible to cut out felt fragments with normal scissors. •	A wooden skewer (the ones used for kebabs!). 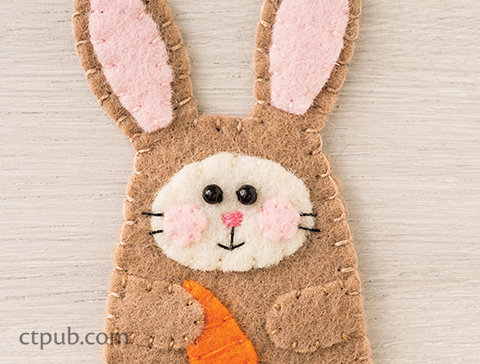 The flat end of a skewer is perfect for stuffing tiny felt projects. •	Narrow-eyed needles. Many of my projects use seed beads and other small beads. Narrow needles are necessary to fit through the beads. Thank you for interviewing me about Pipsqueaks. It’s been a delight to participate on the Made It blog. 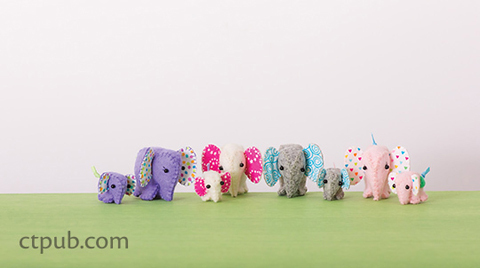 Love the elephants - very cute!! I need my sewing machine blanket stitch feature, polyester stuffing and colorful embroidery floss for special stitches. Congratulations Churcae - you've won yourself a copy of Pipsqueaks! We'll forward your postal details on to C&T Publishing today!